Morris Gleitzman’s DOUBTING THOMAS now in French! 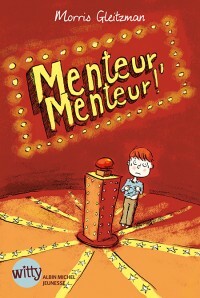 Australian Morris Gleitzman is one of the funniest writers of children’s books around, and now his hilarious DOUBTING THOMAS (MENTEUR, MENTEUR!) is available from Albin Michel Jeunesse in the “Witty” collection. Next Post Another great agent has left the room.